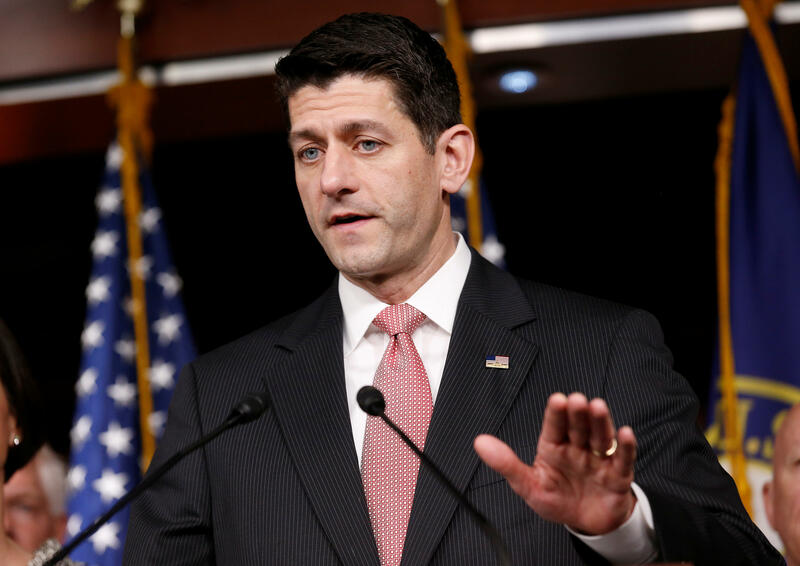 A bipartisan group of 46 lawmakers is calling on Speaker Paul Ryan to revive the debate over a new authorization for the use of military force (AUMF) in the Middle East. The group is calling for an updated AUMF for U.S. military operations against the Islamic State in Iraq and Syria (ISIS) and any possible future operations against the Syrian regime. "It is past time for the House to debate and vote on an AUMF that defines the purpose, nature and limits of U.S. military engagement against the [ISIS]," the group wrote, in a letter to Ryan Friday that was spearheaded by Reps. Jim McGovern, D-Massachusetts, Tom Cole, R-Oklahoma, Barbara Lee, D-California and Walter Jones, R-North Carolina. They pointed out that the U.S. has relied on an outdated AUMF to fight ISIS, one that Congress approved in 2001, post-9/11, for the war in Afghanistan. In the wake of President Trump's decision last month to launch missile strikes against Syrian President Bashar al-Assad's regime after the deadly chemical attack, the lawmakers said the administration must ask for Congress' approval for future military action. "We believe the President must present a strategy and seek the approval of Congress before any additional military action is taken against the Syrian regime," the letter said. "Congress cannot continue to remain silent and ignore its responsibilities under the Constitution." The letter was signed by mostly Democrats along with a few Republicans. After launching airstrikes against ISIS, Obama later submitted a new AUMF to Congress, but it didn't get any traction. Talks over an updated AUMF have stalled in the last few years because lawmakers are deeply divided. Congress hasn't been able to reach a consensus because lawmakers are split into multiple camps. First, there seem to be those who believe that an update to the 2001 AUMF is not needed, while others think a new one is necessary because the 2001 version is outdated and irrelevant because of its focus on al Qaeda. But within that latter camp, there are lawmakers from both parties who want to dramatically limit the scope of the president's authority and others still who are more hawkish and want to ensure broad, expanded authority.